This Air Jordan 4 color way was given a re-retro at the end of 2012, becoming a stand alone color way as the Lightning AJ4 was not released. The sneaker was restocked multiple times since its 2012 release. 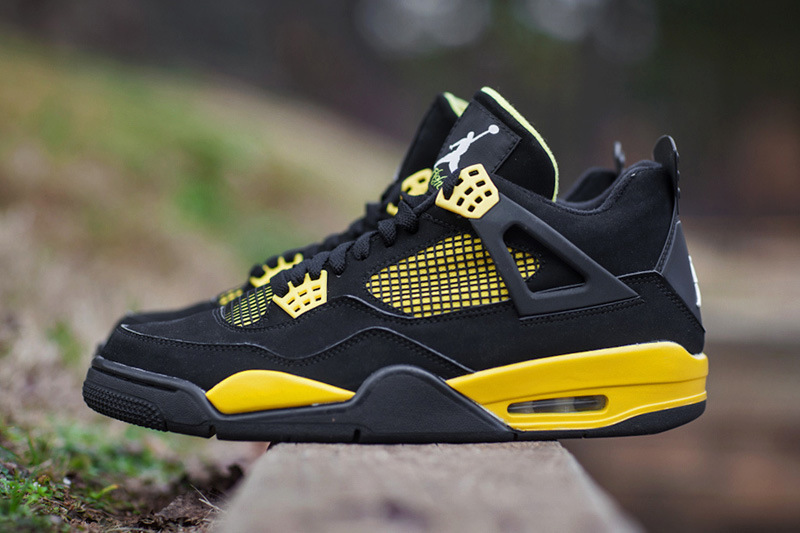 Sporting a primarily Black base, Tour Yellow accents are seen heavily throughout the entire shoe. White provides a slight contrast as it is only applied onto the Jumpmen.